You know the future that people in the 1950s imagined we’d have? Well, it happened. In Tom Barren’s 2016, humanity thrives in a techno-utopian paradise of flying cars, moving sidewalks, and moon bases. Except Tom just can’t seem to find his place in this dazzling, idealistic world, and that’s before his life gets turned upside down. Utterly blindsided by an accident of fate, Tom makes a rash decision that drastically changes not only his own life but the very fabric of the universe itself. In a time-travel mishap, Tom finds himself stranded in our 2016, what we think of as the real world. For Tom, our normal reality seems like a dystopian wasteland. 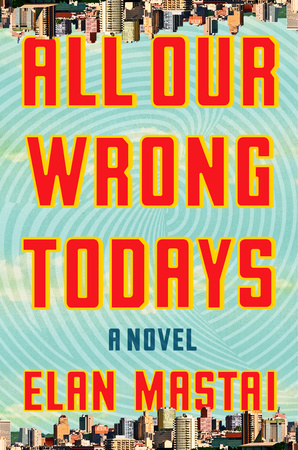 Here, Elan Mastai, author of All Our Wrong Todays, shares some of his favorite library memories. Click to Read the Letter to Librarians from Elan Mastai.